Basin ground water has not been adequately studied and so, information in this area is still scanty. An inventory of trans-boundary aquifers was obtained from International Groundwater Resources Assessment Centre (IGRAC), an organization which facilitates and promotes international sharing of information and knowledge required for sustainable groundwater resources development and management worldwide. 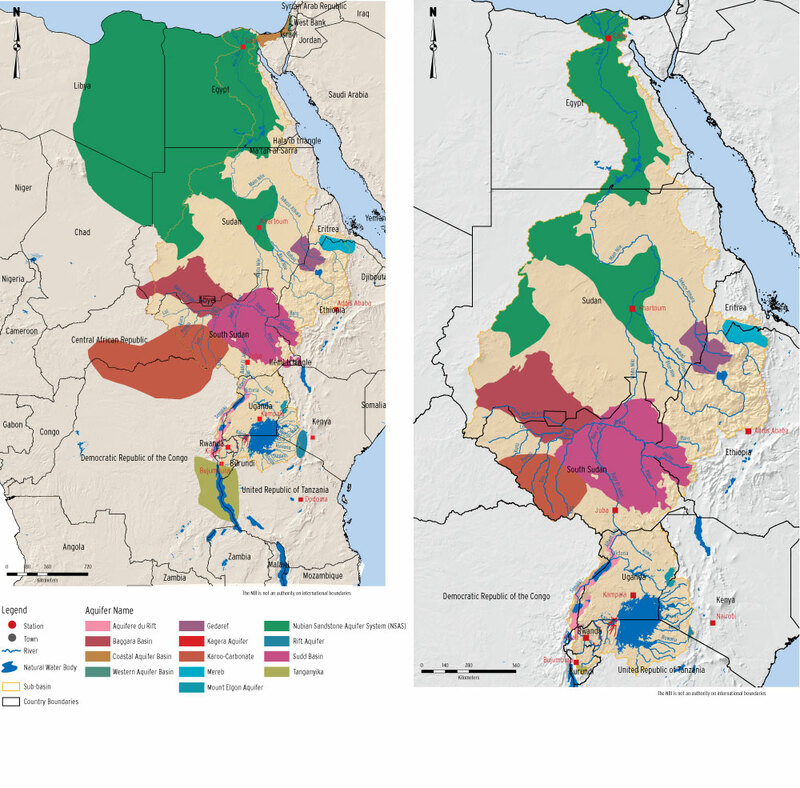 The layer provided by IGRAC, identifies twelve (12) trans-boundary aquifers within the Nile basin, the largest being the Nubian Sandstone Aquifer System covering an area of about 567,344 Km2 in the Nile basin.